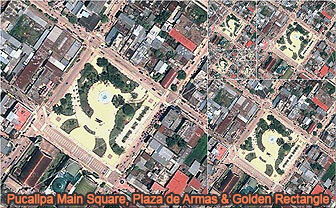 Pucallpa is a city in eastern Peru located on the banks of the Ucayali River, a major tributary of the Amazon River. It is the capital of the Ucayali region, the Coronel Portillo Province and the Calleria District. Pucallpa was founded in the 1840s by Franciscan missionaries who settled several families of the Shipibo-Conibo ethnic group. For several decades it remained a small settlement as it was isolated from the rest of the country by the Amazon Rainforest and the Andes mountain range. Source: Wikipedia: Juliaca.